Can be used directly on your pet without water, able to disinfect and deodorize. Mild formula, no alcohol, safe to use. 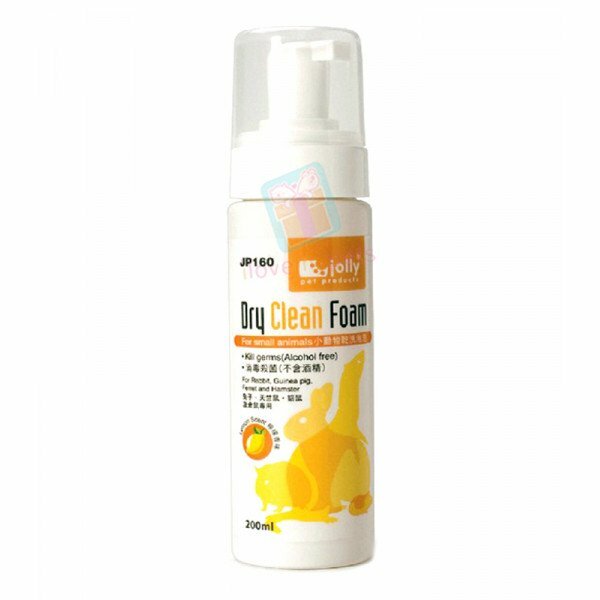 Dry Clean Form shampoo for your small pet. Spray and clean, without the need of bathing in water. Save the hassle of showering and blow drying your munchkin which could take up a large amount of time. It also gives off a great fragrance which lasts. Suitable to rabbit, guinea pig and other small animals. Mil formulation with no irritate content. Apply a moderate amount of the foam and gently massage into the animal's coat. To smoothen their hair with a soft brush and dry the body thoroughly with towel. Avoid direct contact with the animal's eyes.